Concert tribute, Marley family travelogue, and humanitarian documentary... 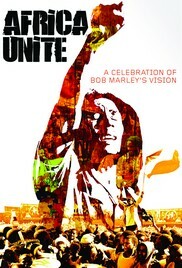 The film Africa Unite ignites the screen with the spirit of Bob Marley. In commemoration of Bob’s 60th birthday, Africa Unite is centered on the Marleys’ first-time-ever family trip to Ethiopia in 2005. In the capital Addis Ababa, three generations of Marleys take part in a landmark one week event like no other, with the ultimate purpose of inspiring the young generations of Africa to unite for the future of their continent. On-the-street and behind-the-scenes footage is interwoven with parts of the culminating 12-hour concert, attended by 350,000. Includes electrifying on-stage performances by the Marley Brothers and a soundtrack brimming with Bob Marley studio classics.